Flawed Autopsies Send Two Innocent Men To Jail In Mississippi, Levon Brooks and Kennedy Brewer, spent a combined 30 years in jail for crimes they didn't commit. 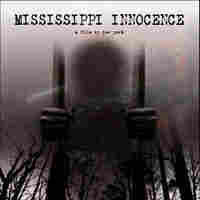 View the trailer to Mississippi Innocence, a film produced by Joe York and Tucker Carrington, which tells the stories of Levon Brooks and Kennedy Brewer. The documentary will debut this month at the Oxford Film Festival in Mississippi. Levon Brooks and Kennedy Brewer are Mississippi men who spent a combined 30 years in prison for crimes they didn't commit. They were separately charged with sexually assaulting and murdering two 3-year-old girls — in two separate crimes — two years apart. Dr. Steven Hayne, the pathologist who conducted both autopsies, said he suspected the girls had been bitten. A forensic dentist, Dr. Michael West, testified in both trials that the teeth marks found on both girls matched those of Brooks and Brewer. After an investigation led by the Mississippi Innocence Project, Brooks and Brewer were exonerated through DNA evidence in 2008. The lab that cleared the men also generated a DNA profile of a new suspect – Justin Albert Johnson. He confessed to both crimes and is currently awaiting trial. Additionally, an expert panel hired by the Innocence Project, said the marks on the girls' bodies were most likely caused by routine decomposition or fish, turtle and insect activity in the water where the bodies were found. Brooks and Brewer have returned to their hometowns and are rebuilding their lives. They both say they have forgiven the people and the process that put them in prison. They are set to receive $500,000 from the state of Mississippi over the next 10 years. This video is part of our series Post Mortem: Death Investigation in America, a partnership with ProPublica and PBS Frontline.